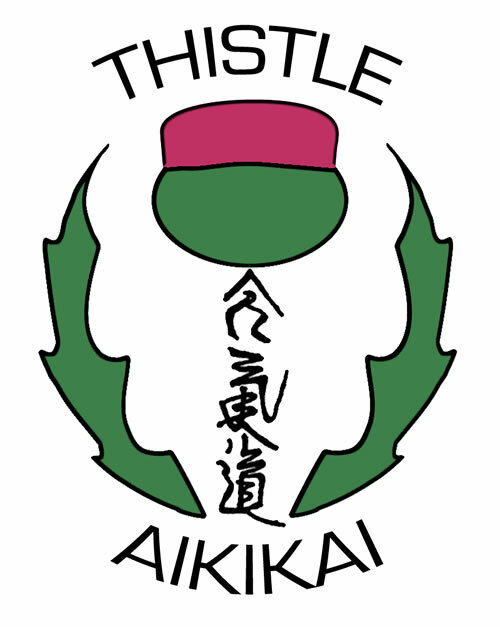 Thistle Aikikai is a member of the Scottish and Borders Birankai under the technical direction of T.K Chiba Shihan. The Chief Instructor, Michael Flynn Shihan began his study of Aikido in 1982 at San Diego Aikikai under the direction of Shihan TK Chiba. He was named Shihan in June of 2005 and was awarded 7th Dan by Doshu Ueshiba Moriteru on 14 January 2018 during the Kagami Baraki celebration at Hombu Dojo. He was formally awarded his Shihan Certificate in a ceremony at Aikikai Hombu Dojo in Tokyo in November 2006 by the second Doshu, Ueshiba Moriteru. He has also received Iaido Shihan title from Mitsuzuka Sensei. Since arriving in Scotland, Flynn Sensei has established the Thistle Aikikai. He serves as the Chairman and Technical Director of Scottish and Borders Birankai. Thisle Aikikai offers beginner through to advanced classes in Aikido and weapons. All are welcome. Instruction in Iaido , the art of drawing the sword and striking a killing blow, is also offered at Thistle Aikikai. In Iaido, students learn to use the sword not merely as a tool for cutting down one’s enemy, but as a method of allowing the mind and body to become more harmonious with nature. During training, students will learn the forms of the Muso Shinden Ryu Iai as developed by Nakayama Hakudo Sensei, with a goal toward synchronizing their breathing and body motions within the techniques in order to understand and practice the efficient use of the body. The club trains at the Iain Nicolson Recreation Centre, Chryston Road, Chryston, G69 9NA (near Glasgow), Scotland (Phone 01326 631465). See below for a map. From the South: Travelling on the M74, merge onto M73 via Exit 4 toward A80/Stirling/Kincardine Bridge. Take Exit 2A on the Left toward MUIRHEAD/ GARTCOSH Industrial Park. Enter roundabout and take first exit. Enter next roundabout and take 2nd Exit, marked STATION ROAD/ A752. Turn Right onto CUMBERNAULD ROAD/ A752, followed by a left onto Chryston Road. The Ian Nicolson Centre will be on the right. From the North: From M9 follow signs for M876. Continue on M876 and merge onto A80 toward GLASGOW. After proceeding through set of traffic lights in MOODIESBURN, remain in Right lane, and turn right across the A80 at the JET Petrol Station, onto CUMBERNAULD ROAD/ A752. Turn LEFT immediately to remain on CUMBERNAULD Road, then immediate RIGHT turn onto Chryston Road. The Ian Nicolson Centre will be on the right. Fees are payable on the first of each month. Variations on this schedule must be arranged with the Chief Instructor. Mat fees are due prior to class.